My college roomies and I started a tradition the Summer after we graduated that we lovingly called “New Job Sushi.” It began when the first of us to get a “real” job started her first day. The new job sushis were scheduled afterwork on her first day so we could all get the scoop in person. 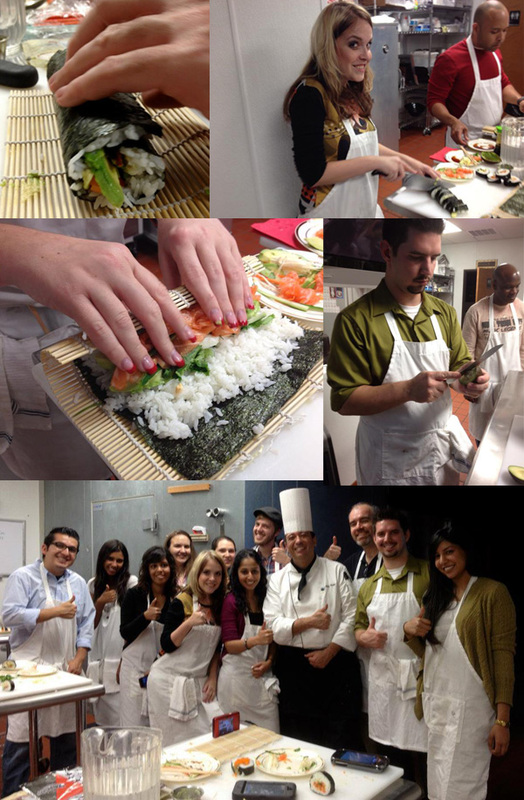 As many new-grads do, we job hopped a bit so we had several new job sushi celebrations that year. All of those girls have since moved, but I’ve carried over the tradition with my husband. This weekend, he and I got to make our own sushi at home in celebration of a new job for ME! (Sorry, but I’m not spilling the details on that for another week or so.) Although we both love sushi, we’ve never tried to make it at home. When I found out that I’d be partnering with Kirin beers (Rory’s favorite Japanese beer) I knew this would be a great time try out our new rice cooker and refresh our sushi making skills. We took a sushi making class a few years ago, but we never put our skills to the test afterward. When I started planning this sushi and Kirin beers relaxing evening at home I didn’t realize we’d also be celebrating a new job! We have a great Asian grocery store near our house, so we opted to go in without a list with the goal of getting sushi fillings. The folks at Kirin sent a fun care package with Kirin Ichiban and Kirin light, as well as some of the essentials to get us started. So the goal was some type of meat and a few veggies. You know the rule about not going to the grocery store hungry? Well, yea… in addition to all of our sushi veggies and meat we also picked up some dumplings, a soup mix, a dessert and quite a bit of fruit. 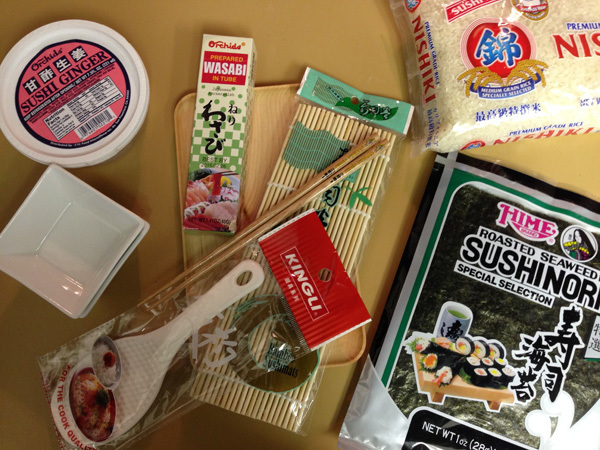 But the good news is, our entire purchase was cheaper than a typical sushi date-night. 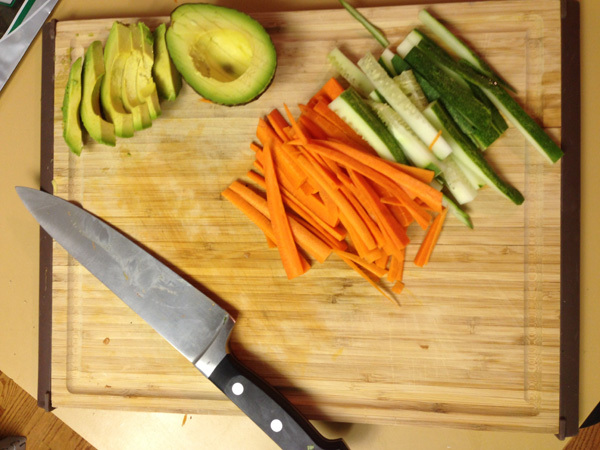 Rory has far superior knife skills so he did all the prep work for the veggies. As designated photog I opted to try out the Kirin Light while playing spectator and reading up on the Kirin brand. I love learning about different cultures, particularly in the food and drink realm. Here are a few beer etiquette rules I learned from Kirin. Make sure everyone in your group has been served before you take your first sip*. Since this was our first adventure with at-home sushi making we opted for imitation crab and cooked shrimp so we didn’t have to worry about raw fish. We used Kirin’s Maki Sushi Rolls recipe as a starting point to give us direction for the rice prep and general order of when to add each element to the rolls. I think the Kirin Light was perfect to cut-through the spice in the dishes (that soup was seriously spicy, man!). It also helped neutralize in between the sushi and the appetizers. I’m not really the calorie counting type, but it’s great to know Kirin Light only has 95 calories. Generally i just appreciated the light taste as I enjoyed the breeze coming into our kitchen as we cooked with the doors open. 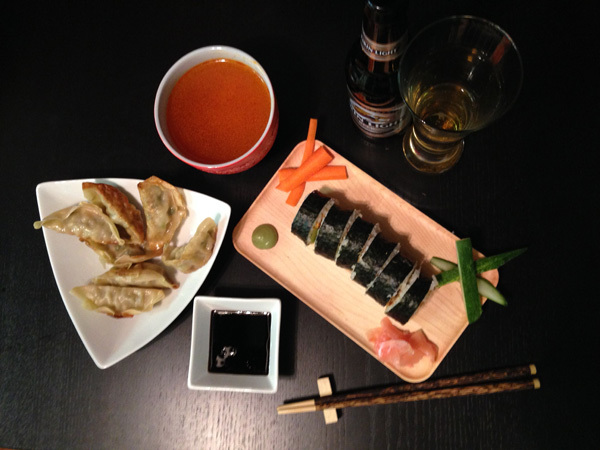 Rory opted for the Kirin Ichiban, it’s pretty much his go-to drink any time he has sushi or other spicy Asian food. 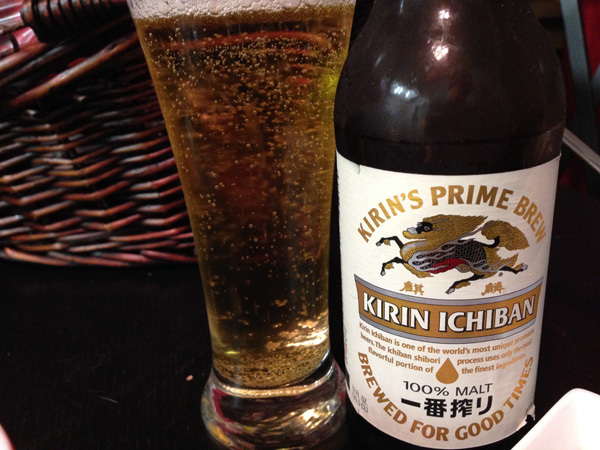 He prefers the full-bodied taste in Kirin Ichiban over Kirin Light with flavor-forward dishes. Kirin Ichiban is 100-percent malt, first-press beer, using only the first strain of malt liquid, which means it’s truly beer at its purest. For how frequently Rory has ordered Kirin Ichibans in the years I’ve known him, I’m surprised this was my first time trying it. I do believe I will be joining him in ordering this for our next sushi outing. 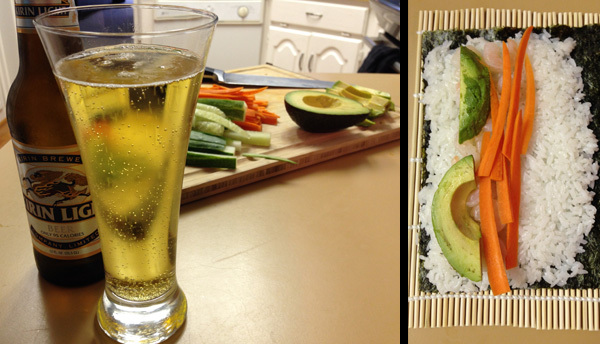 Overall I was quite pleased with how the sushi turned out and I’d say Kirin made a great addition to our Saturday night! Special thanks to Millennial Central and Kirin Beers for this fun adventure. And thank you for supporting the brands that help Genpink grow! Head over to Kirin USA’s Facebook for more info. 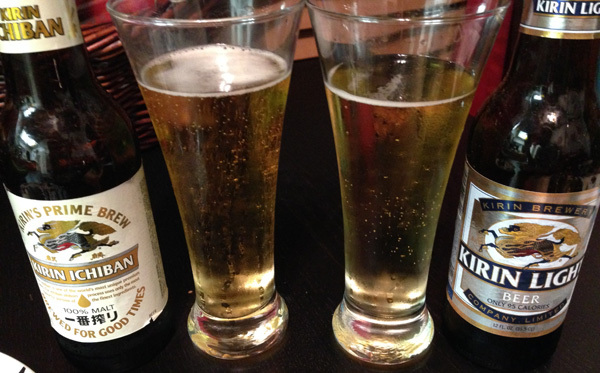 Kirin fans, what’s your favorite dish to pair Kirin beers with? 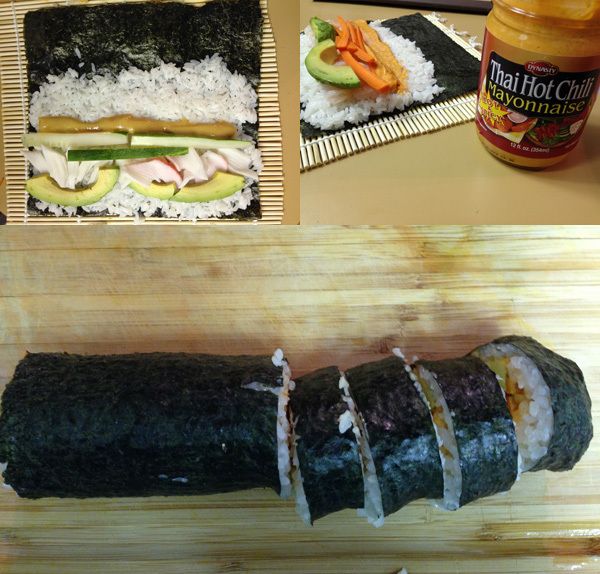 Anyone brave enough to try your hand at homemade sushi?